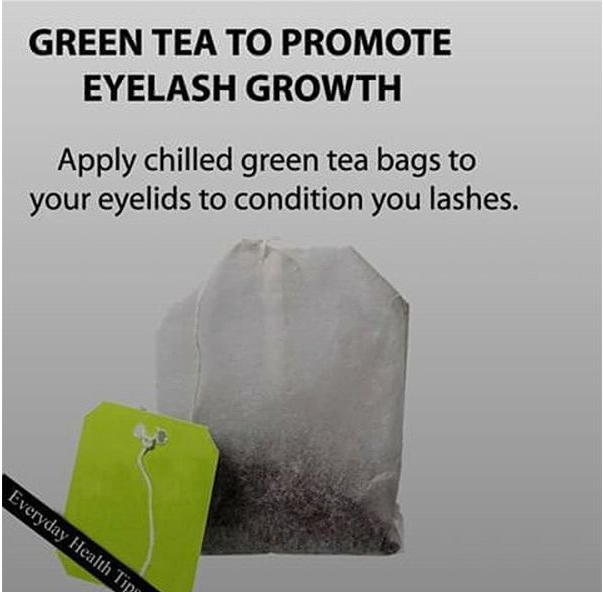 Apart from the artificial ways such as lash extension, applying fake lashes or mascara to get longer and denser eyelashes, there are lots of natural yet convenient methods which can boost lashes growth. Let’s introduce 8 of them to you. 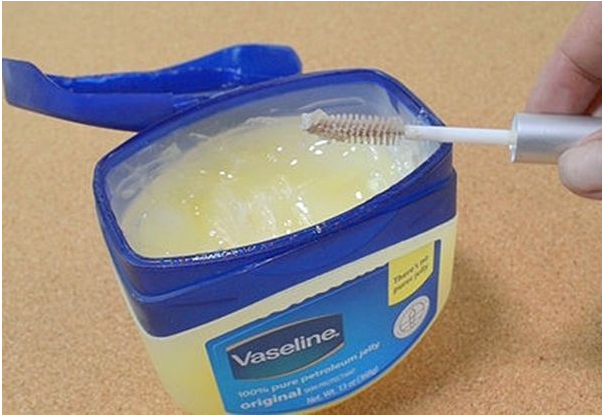 Apply right amount of petroleum jelly at the root position of lashes with the help of a cotton swab or lashes brush every night. 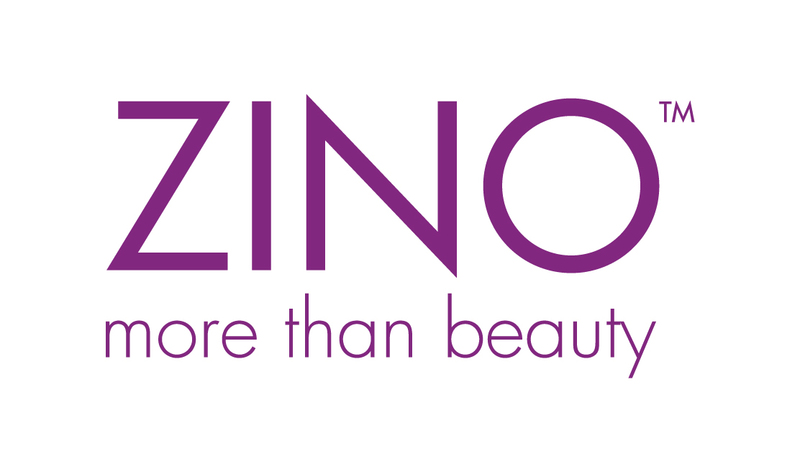 Its strong hydration function promotes the growth of eyelashes. Remember not to apply to much petroleum jelly or apply too many times a day. 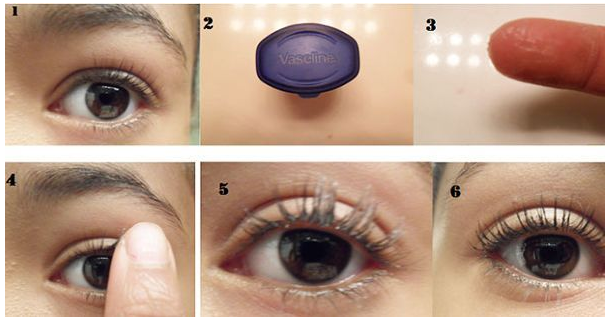 The greasy texture may clog the pores around eye area easily. Suggest to apply it continuously for a few weeks to give the best effect. 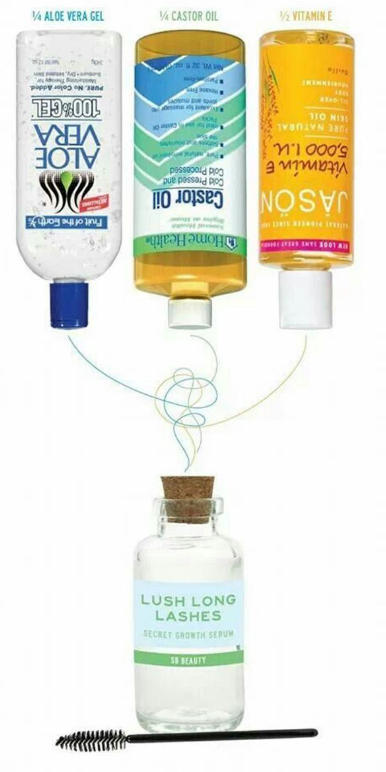 Coconut oil nourishes eyelashes, giving tender and supple eyelashes. As well, lashes breakage is reduced. 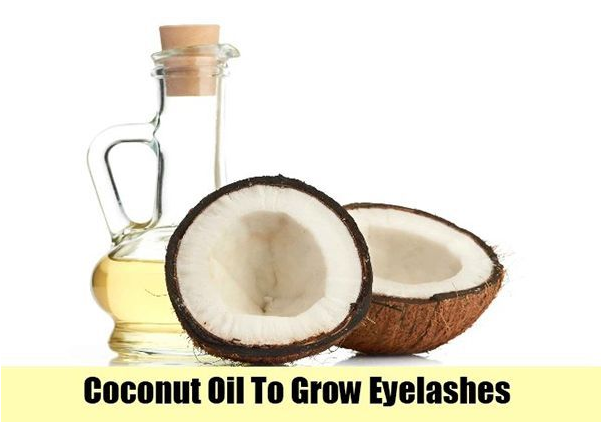 Coconut oil helps accelerating the eyelashes growth by applying it on eyelashes at night and washing it off the next morning. 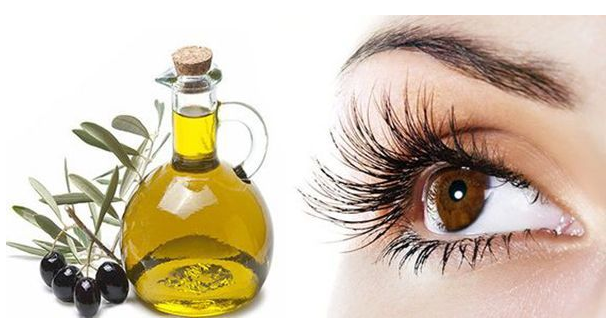 Olive oil nourishes hair, this also boosts the growth of eyelashes, but be aware not to apply too much of it onto lashes to avoid clogging pores. 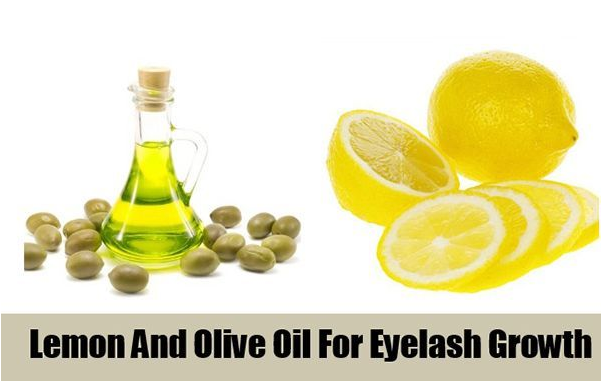 Prepare a bottle of Olive oil with a little bit of chopped lemon skin added in advance, apply appropriate amount to eyelashes directly every night. 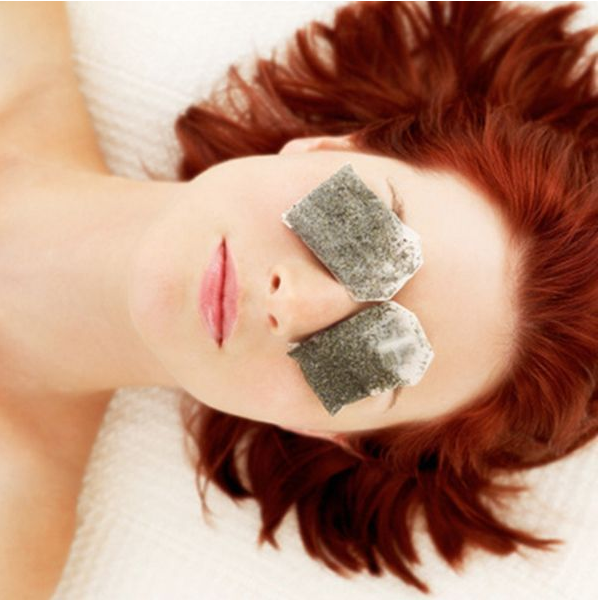 Applying wet cotton pad which was dipped with green tea or chilled green tea bags onto eyes can enhance eyelashes growth. 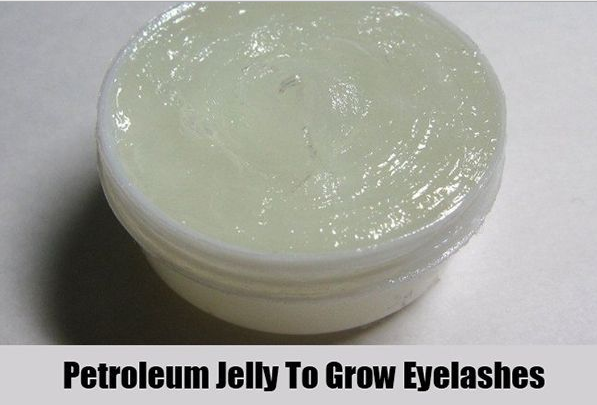 Applying small amount of fresh Aloe Vera or Aloe Vera gel onto eyelashes can accelerate eyelashes growth. 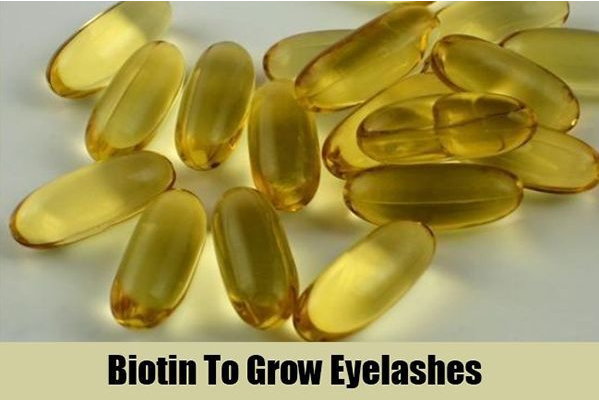 Biotin, is a natural pill, has a good effect in eyelashes growth. This is available in general health stores. Eyelashes is a kind of hair of our body. 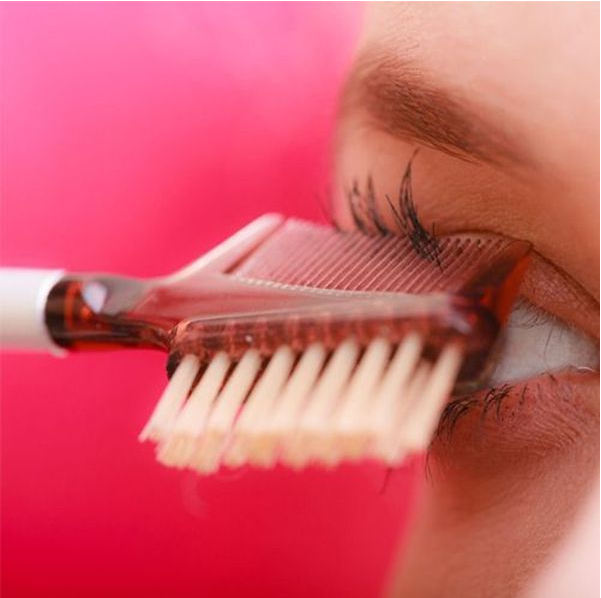 With daily combing action by eyelash comb, eyelashes will also grow longer and healthier. 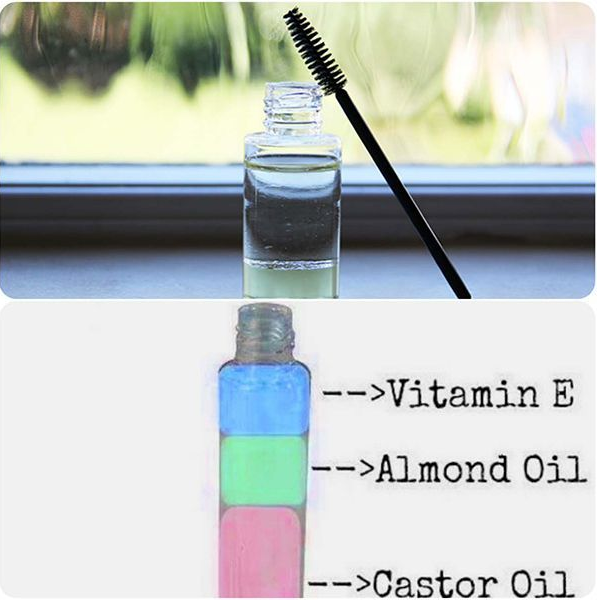 This is very easy to make an eyelash serum at home with Aloe Vera Gel/ Almond Oil, Castor Oil and Vitamin E.
Does eyelash length have its golden ratio? There is a saying that the golden ratio of eyelash is one third the width of the eye. At this perfect length, it prevents dust from going into eyes, reduces water loss from eyes and hence keep eyes being hydrated all day long. On the other hand, lengthy eyelash directs air towards the eyeballs and cause dry eyes easily. As well, long lashes increase the burden of the eyelids as well. Long lashes VS short lashes, which one do you prefer?